Action Lock is a well established and professional locksmith in Balga, servicing the area with 25 years of expert residential, commercial, and automotive locksmith experience. 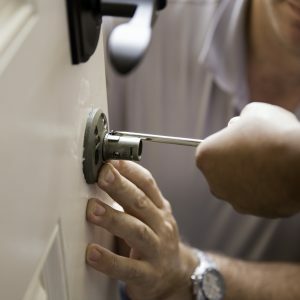 Based in Balcatta, Action Lock Service provides a complete range of commercial, residential and automotive locksmith services to customers in Balga and the surrounding suburbs of Perth. With more than 25 years’ industry experience, four fully-equipped mobile workshops and a highly-skilled team of qualified locksmiths, we have all your home, business and vehicle security needs covered. Whether you need to upgrade your home or business security, you’ve found yourself locked out of your car or house or there’s been a break-in attempt at your rental property, we’re the locksmiths you’re looking for. And as we offer a reliable 24/7 emergency locksmith service, you can rely on us to arrive at your location quickly and resolve any lock or key issues at any time of the day or night. As our locksmiths are on standby 24/7, if you have need of an emergency locksmith in Balga to assist you after a break-in or to help you to gain access to your office or commercial premises, we have you covered. Wherever you reside in Balga, the threat that crime poses to your home security is something that you just can’t ignore. To help you enjoy the peace of mind that residing in a home secured with up-to-date locks provides, Action Lock Service can inspect your property and advise you on your needs. We can replace old locks with new locks and provide you with options like rekeying locks, which is a cost-effective means of upgrading your home security without replacing the lock mechanisms. Locking your keys in the car or finding you’re unable to gain access due to a malfunctioning remote or transponder key is frustrating, but before you attempt to gain access to your car and risk causing damage to the locks, doors or windows, give the automotive locksmiths at Action Lock Service a call. We provide a complete automotive locksmith service across Balga and the Perth metropolitan area to enable you to gain entry to your car without causing any unnecessary damage in the process. For all your home, business, and vehicle locksmith needs in Balga and the surrounding suburbs, call 08 9240 7200.